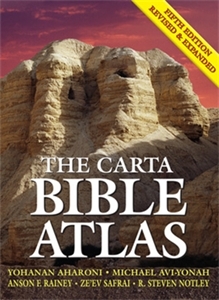 Accordance Bible Software offers this Atlas and many of the others that you review. The maps can be magnified and copied, and the text is fully searchable and linked to the Bible and any other books in Accordance. Go ahead and tell more–which atlases you have and a link– so readers can find you. Thanks for sharing! I realize really prefer electronic volumes!